Madeira Malvasia (or Malmsey) is a kind of fortified wine made from the Malvasia grape variety under Portugal's Madeira DOC. It is the sweetest, richest form of Madeira, and is typically made in a style that contains more than twice the residual sugar found in Madeira Sercial or Madeira Verdelho. The next sweetest in the spectrum is Madeira Bual. The Malvasia grapes which produce Malmsey are typically grown in warm coastal locations at low altitude, particularly at Câmara de Lobos, whose name (meaning 'the chamber of wolves') belies its status as a peaceful fishing village. 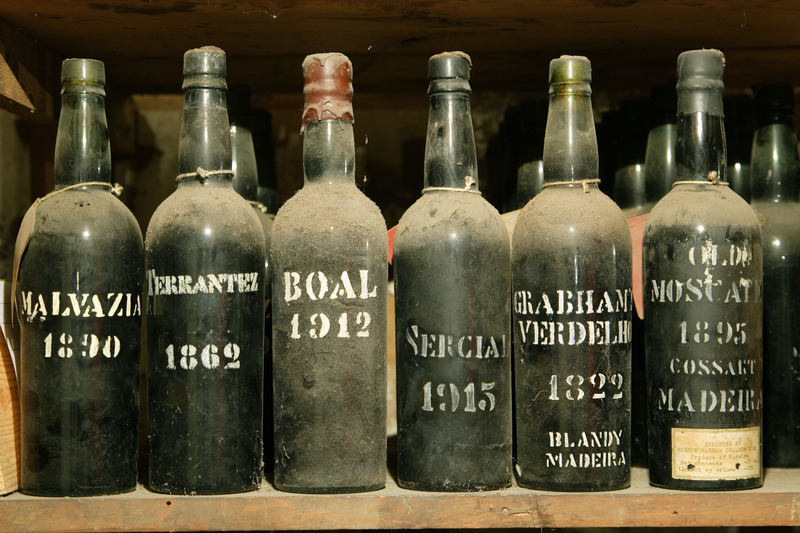 The grape variety retains its acidity as it develops sugar, and as a consequence, Madeira Malvasia wines are some of the most long-lived in the world. Malmsey is a robust wine that is able to accompany any dessert, and as with most Madeira wines is at 18 or 19% ABV a rich smooth and very gently warming and wonderful experience. A particularly excellent way to enjoy a glass of Malmsey is with a piece of Christmas cake accompanied by a slice of white stilton or other rich cheese. It goes well with Chocolate, with Fruit, with Ice cream or all three. Chocolate desserts served with Malmsey are greatly enhanced, as is fresh pineapple…..pour the wine onto the fruit for a real treat! Ice creams and sorbets are also great partners for this wonderful sweet wine. In fact there are few desserts this wine cannot accompany and enhance. 12 Malvasia Madeira Wines found.